His blood avail’d for me. Listen as you read. This version is by Kaleb Brasse. The prisoner on the cross beside Him is a great example. Can you see the reflection of Jesus in that drop of blood? And how about that prisoner of the cross to the right? Do you recall the story? Jesus was crucified between two criminals. You can read the entire account in Luke 23:32-42, but let me draw your attention to the one who rebuked the other for taunting Jesus. 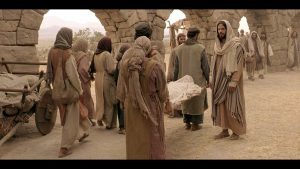 He acknowledged he was being punished justly, getting back what he deserved for the things he had done, while Jesus was innocent. Then He pleads for mercy, an important concept to grasp when we think about His blood, because it is what keeps us from getting what we deserve. Doesn’t seem fair does it? A criminal about to die asks for mercy and receives it. He has no opportunity to earn it, or somehow improve his standing. It is offered without merit, and solely based on confidence in the One he is asking. When it comes to our salvation, that seems more fair, right? I mean, I am not a criminal, and even if you have broken a few laws, you are certainly not guilty of doing anything that would justify being crucified – a terrible, agonizingly slow death, done publicly for the purpose of humiliation. Maybe you do have a long list of misdemeanors, to go along with your felonies, but at least you are not Adolf Hitler or Charles Manson, right? There is a problem with this comparison game though. It simply does not work. Why? There are no gradients of imperfection. Anything that is not perfect is equally as imperfect as every other imperfect thing. So we are all in the same position. Imperfect, longing to be perfect. Foul, and needing to be clean. But this is no news to Jesus. Knowing full well none of us possessed the capacity to get clean, Jesus came to provide a way. As He sat and shared the last meal with His disciples before His crucifixion, Jesus said, “For this is My blood of the new covenant, which is shed for many for the remission of sins.” Matthew 26:28 Remission is the cancellation of a debt, charge, or penalty. Jesus knew He was about to shed His blood so the power of sin could be cancelled and we could be set free. When even the foulest among us acknowledges the power of His blood to cleanse us, everything changes. We are forgiven. Made clean. Wesley declares “His blood avail’d for me”, which simply means it helped or benefitted me. Though that is accurate, it seems like a gross understatement. At the same time, it is a fact. His blood did help me, and everyone else who ever asked, or will. 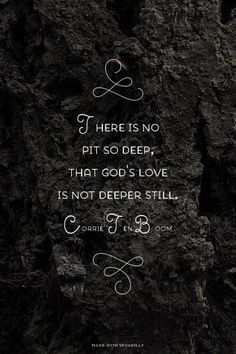 It makes me think of this powerful quote of Corrie Ten Boom. “There is no pit so deep, that God’s love is not deeper still.” You can not be so foul that you get beyond God’s ability to make you clean. Think about it. He cancels sin and its power. He set the prisoner free. His blood cleanses the Foulest among us, which is really good news because not one of us is very far off from that moniker. In its place He gives us a new title, Faultless. Thanks be to God for His deep, deep love. 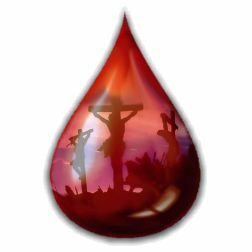 Jesus, when I think of Your blood shed for me, I am humbled. I did not deserve it yet You freely gave it. Aware of how unworthy I am, there have been moments when I have struggled to believe Your blood could help me. Forgive me Lord for ever doubting that You could make me clean. I do believe, and that believe leads me to praise You again today, for my new standing and my new title. Thank you Jesus! Are these thoughts helping you to develop greater spiritual awareness? Sign-up in the form to the right above to get updates of new tools to help you be Resonant. Below is content available only to Subscribers. Want to learn more about accessing all the additional material in the Subscriber Content Library, click here. Or check out some samples at our Free Member Content Library. We have lots of tools and lots of options designed to help you be Resonant! Check them out today!! Subscribers enjoy this podcast! Everyone else, the transcript below. Welcome to Thursday Thoughts at Resonant 7, where we reflect on the reality of God and resolve to let it resound in our lives, repeatedly. Let’s think about this. Propitiation is to atone. He atoned for sins, making us at one with God, having formerly been separated by our sin. Jesus did this when He willingly laid down his perfect life. Praise Jesus for breaking the power of sin. Jesus read these words in the synagogue as He began His ministry, and pronounced they were fulfilled. Do you see yourself in this list: Poor, brokenhearted, captive, imprisoned? Thank Jesus that He was anointed to change our circumstances. Jesus taught he who has been forgiven much, loves much. Paul called himself the foremost among sinners. Do you remember how “far off” you were? Ponder that for a moment, and then thank Jesus for cleansing you with His blood so you could be brought near. Availed means to help or benefit. What an understatement in describing what Jesus’ blood did for us. Justification has been explained as being made “just-as-if” you had never sinned. I needed a lot of help to look like that, and you did too. Thank Jesus. Take a few moments to talk to Jesus about what has come to your mind, or just listen to what He is saying to you, then I will read our text once more. Take the mindfulness of God’s presence cultivated in these last few minutes into the next ones and beyond. Until next time, be Resonant. Listen as you read. This version is from Tyler Andrews. Little strikes more fear in many people’s hearts than the very sight of a snake. When they consider the prospect of sitting in front of one in at attempt to charm it like it is done in India, for example, their pulse increases, their palms become sweaty, and they all but pass out. And for good reason. Snakes can be very dangerous. When we learn a little more about these street performers, we learn that for many of them the fangs have been removed, or the lips sewn shut. Changes the game a bit. But I am still pretty certain I remain uninterested in trying it. Mark 4:35-41 tells of the storm that was inducing fear in the disciples. The threat was so real they thought they might lose their lives, but Jesus had slept through it all. What an interesting commentary on His apparent lack of concern. How we often mistake Jesus’ lack of intervention for lack of care, when He might be simply waiting for us to ask. When the disciples finally wake Him and ask Him if He cares, not to calm the storm mind you, Jesus charms, or calms, the storm with “Peace! Be Still!” Wow! Do you believe that happened? Do you believe Jesus can speak with the same authority into your lives? Or are you quietly convinced He does not care about the situation you are in the middle of, or the fear it is evoking in you? Jesus cares and He wants to convince you of that. Ask Him to speak “Peace! 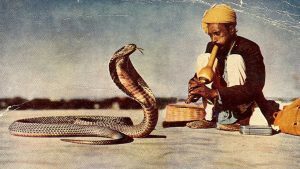 Be Still!” over the snake/fear that is raising it’s head in your life. His statement may have a more profound effect on your heart that the situation, but either way, He will charm that fear. What’s stopping you from asking? Thankfully, Jesus often does wait for us to ask, but simply has compassion on us, like the widow who had lost her son in Luke 7:11-17. Not Caeser, but Ceaser. Yes, I made that up, but you see what I did there don’t you? Jesus is an autocrat, having absolute power over even our sorrows, but rather than demanding they cease, He sometimes bids them to cease by inviting us into a different response as He demonstrates His ability to cease their cause. In the Luke passage above, Jesus comes across a funeral procession. The dead man is the only son of the widow in the passage. When Jesus sees her, He has compassion on her, and invites her, “Do not weep” before He has done anything to change the circumstance. Do you ever wonder how much time passes between the line of Scripture sometimes? The very next line tells us “Then Jesus…” The time between “Do not weep” and “Then Jesus…” is an unknown. Inject yourself into that gap, because truth be told, you have actually found yourself there many times without knowing it. Jesus was speaking “Do not weep” into your soul, He was bidding your sorrows to cease. There are seemingly competing definitions of “bid”, with one being command, and another invite. I believe both were active in those moments for you, for me, for the widow. Jesus was commanding sorrow to cease, and inviting her, and us, into that reality in our experience. I do not think she needed much convincing as her son sat up and she held his face tenderly in her hands. What sorrows is Jesus bidding to cease for you today? Do you need convincing? Thank Him that there are times when you do not even ask, and He is already bidding. Do Fears, or Sorrows, Have Ears? Did you know that even though snakes can sense sound, they lack the outer ear that would allow them to hear the music of the charmer? Instead they follow the movements of instrument and charmer considering them a threat, and responding to them as a predator. Fears and sorrows do not have ears either. Instead they follow the direction of the Jesus, and respond to Him as One with power over them. With that in mind, let them respond accordingly, and you determine to do the same. You have the advantage of being able to hear the name of Jesus. Let it be music in your ears. Music which stills fears and sorrows delivers life and health and peace. Jesus, charm my fears and bids my sorrows cease, until the music of Your matchless name ushers a wave of life and health and peace into my beleaguered soul. Help me to realize You have already accomplished all this and I simply need to believe. And (Jesus) said to them, “Why are you afraid, O you of little faith?” Then he rose and rebuked the winds and the sea, and there was a great calm. The disciples found themselves in a storm that was threatening to swamp their little boat, all the while Jesus was asleep. When they woke Him, He spoke to the winds and they obeyed. 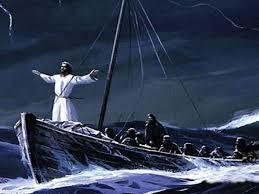 What storm are you facing today that you need to see Jesus calm? Will you give Him your fears to charm? Jesus spoke these words to a widow whose only son has just died. Might seem strange if we did not read the next lines which tell us Jesus raises her son back to life. 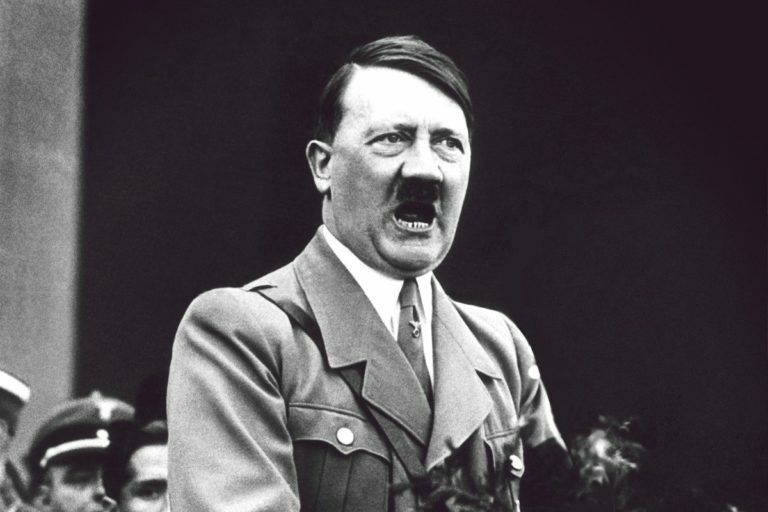 He still has that kind of authority today. In our sorrows, He invites us to trust Him and His purposes. What sorrows might Jesus be inviting you to cease today? And how glad we are that He did! So glad that it is as if His name were actually music in our ears. Can you remember the first time you understood the significance of Jesus name’ and all that it accomplishes? Give Him praise for making a house call so you, sin sick as you were, could have your heart healed. Peace is not the absence of fear or sorrow, peace is the presence of God. He is with us and in His name we find everything we need. Thank Jesus that you can find life and health and peace in Him even when the things in your world may be sick and dying and troubled. Listen as you read. 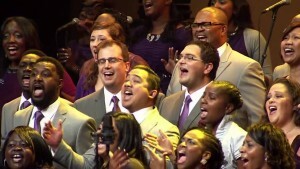 This version is from Together for the Gospel. My dear, or as it has sometimes been altered to, great Redeemer is indeed worthy of praise. Check. My God and King certainly is glorious. Check. His grace has absolutely triumphed over all. Check. Really the most thought-provoking, pondering worthy line in the opening stanza to this beloved hymn is the first. Herein we understand the longing of the writer to have a thousand tongues to sing the praises of our God. I have often wondered if he meant both of the things that immediately come to mind for me and I am certain many others, worshippers across the more than two centuries this song has been sung. My single tongue simply is inadequate to declare the praise, glory and triumph of my King. I wish that I had 999 more, or while I am at, maybe 100,000, though in essence this would still not be enough to adequately, or throughly tell His worth. 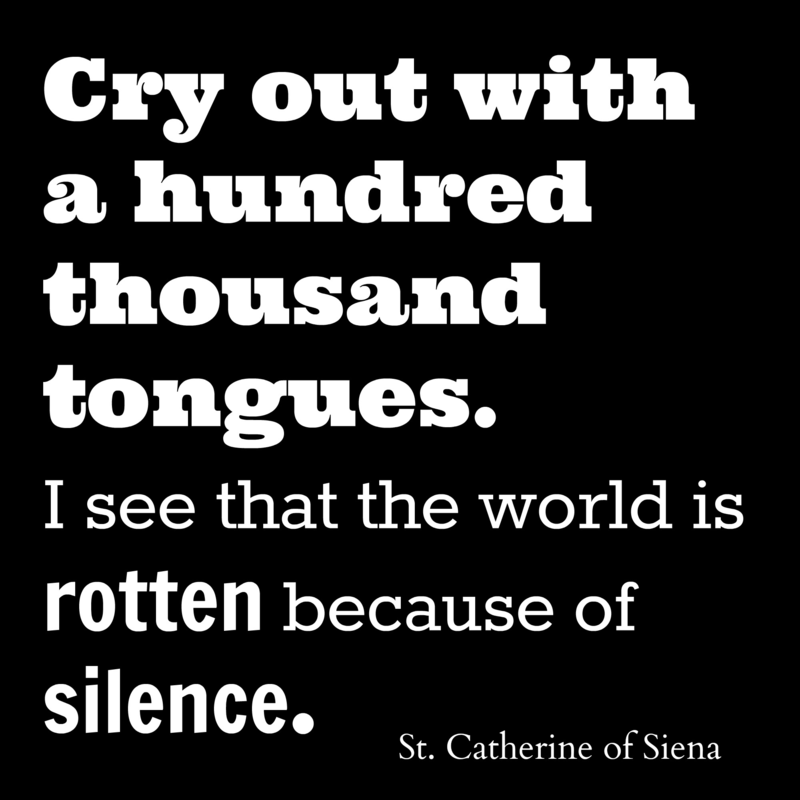 Though I must admit I would agree with St. Catherine that any number of of tongues breaking the silence would be far superior to those same tongues remaining stilled. That quote got me thinking about how many of us are often tricked into constraining our praise for any number of reasons. Not the right moment. Not the right crowd. Not the right place. Lord, have mercy on us for holding our tongues in times we should have loosed them, especially when it comes to using them to bring you praise. When we speak the praises of God we breathe “life and health and peace” [quoting a later stanza] to an otherwise dying, sick and strife-filled world. I think rotten pretty much some up any place where the praise of God has been squelched. Jesus, cause me to be unwilling to allow my praise to stay silent. Empower my tongue that it may erupt with unceasing adoration for Your Name. When it does, push back a bit of the rot of this weary world, and in that moment and place, establish Your kingdom! 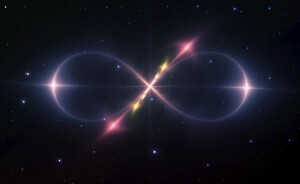 Begin in my soul, as I speak within, but cause it to grow, until it bursts without. Traveling abroad and being in awe as I heard God’s praises sung in multiple languages at once. Learning the Dvorak Biblical Songs in their original Slovakian, with the help of a native speaker and marveling at the beauty of the unfamiliar sounds. Talking with a tour guide in Europe who spoke six languages and envying him not because he could converse with so many different people, but because he could express his praise in so many different ways, not to mention the possibility of dreaming of praising God in a language not my first. This thought also reminds me of the Day of Pentecost, and allows me to see the blessing hidden initially in God’s working at the Tower of Babel. 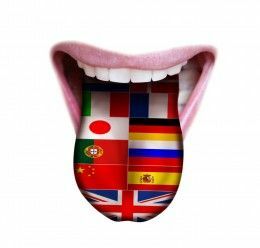 We began to think to highly of ourselves so God muddled our ability to communicate with all people by creating distinct languages. 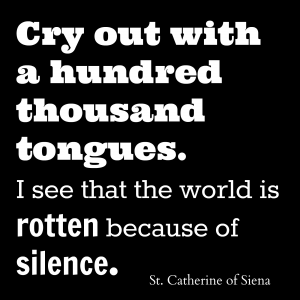 This curse comes full circle and essentially becomes as blessing when at the Day of Pentecost people from all over the world each heard the disciples speaking their native tongue. I do not even need to broach the controversial and divisive subject of the gift of tongues to make the point that having other means to praise God is a reasonable desire for every believer. Holy Spirit, whether I develop the ability to speak another language or You supernaturally give me such utterance, enable me to use every capacity I have at any given moment to give praise to God. I long for the greatest ability possible, whether in number or skill, to sing the glories of my God, but instead simply ask that You help me to make the very most of the one tongue I currently possess. May I ever and only use it for this highest of purposes. Subscribers and Free Members, enjoy this podcast! Everyone else, the transcript below. I think Wesley is possibly desiring one of two things here, either for a thousand different languages, or a thousand mouths, or both, but all for one purpose, that he may have even greater capacity to sing the praises of God. Ask God to help you make the most of every resource at your disposal to bring Him praise. Our Redeemer, through His redemptive action, grants us the access that allows us even to offer any praise at all. Take advantage of that freedom to use your lips to bring Him praise right now, and then ask Him to help you never stop. We will focus on Jesus’ name in the next stanza, but for now, simply thank Him that you have the great treasure of being able to choose to use your tongue to worship Him now. A triumph is a great victory or achievement. Your redemption is at once a triumph of grace, and a demonstration of the triumph of God’s grace. Do not hesitate to make your weaknesses known, for they demonstrate the power and victory of our God. How might you humbly do that today? Take a few moments to talk to Jesus about what has come to your mind, or listen to what He is saying to you, then I will read our text once more. Listen as you read. This version features Ayako Ishikawa on violin. I suppose there is probably some mathematical flaw in that formula so please forgive me, but that helps me to come to terms with the phrase “we’ve no less days”. How do you wrap you mind around that? Eternity is the hope that Jesus and His grace have made available to us, and it is just as real today, as it will be ten thousand years from now. In other words, it is infinitely true for infinity. But what difference is that making for you today? Maybe the first question to answer is whether you believe it should make a difference? Think about it. For me, the tragedy is that many of us spend next to no time thinking about some of these inspiring truths, let alone what difference they should make in our daily living. Part of that hinges on our understanding of “when we first (began)”. I think it is safe to say the writer here, not John Newton as this was a verse added later, was referring to the praise we begin to offer in glory. I feel equally as confident saying I believe you could also interpret that our praise begins the moment we begin to follow Jesus. I read something recently with regard to praising that resonated with me. C.S. Lewis gave a great explanation in his Reflections on the Psalms. He makes a connection between praise and enjoyment that escapes many of us on an intellectual level, even if not an experiential one. He says this. I think we delight to praise what we enjoy because the praise not merely expresses but completes the enjoyment; it is its appointed consummation…the delight is incomplete until it is expressed. It is this enjoyment that I believe fuels our praise not only in eternity, but here and now as well. We begin to praise God the moment we realize what He has done for us, and we keep doing that forever, at least we should. If we don’t, and sadly we don’t, then we need to examine what are the things that we enjoy more in that moment than our eternal inheritance. Over the years I have teased people that everyone in church should want to be involved in worship ministry because it is the one ministry that prepares you more for what you are going to spend eternity doing, praising. I believe there is actually some truth to that, but it really revolves more around the fact that praising ushers in the enjoyment of God that heightens our awareness of His presence with us. It is not about the singing or music making, but about realizing I can do everything in a way that brings God glory. My point is simply this. Don’t wait until you are “bright shining as the sun” to begin your perpetual praise. Work on it every day, at least until it is really it not work at all. What can you do today to cultivate a life that enjoys God continually? 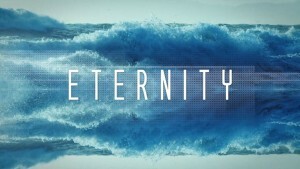 Jesus, thank You for eternity. It is almost impossible for me to grasp the enormity of it. Even still, help me to work at developing a heart of perpetual praise by showing me how to grow in this today and every day, even as I wait for the rest of forever to begin. In Jesus name. Amen. Finding some help here tuning? Subscribe to get updates of new tools to help you be Resonant. Below is content generally available only to Subscribers, but with this blog to everyone for two reasons. First, this is one of my favorite stanzas of any hymn. Second, I want everyone to get a taste of the podcast content that follows this same format each week. Want to learn more about accessing all the additional material in the Subscriber Content Library, click here. Or check out some samples at our Free Member Content Library. We have lots of tools and lots of options designed to help you be Resonant! Check them out today!! Enjoy the podcast! And transcript below. How? Because He is eternal. It is very difficult for us to comprehend eternity, but 10,000 years will barely scratch the surface of all God has in store for us. And He definitely has something in store. Ask Him to heighten your anticipation of heaven. Wow! Righteous because of what Jesus has done. Shining because of the transformation that will have occurred to this mortal flesh. Home in His eternal Kingdom because we are His children. Hallelujah! Give Him praise. And here is another motivation for our praise, we know the path of life. It will usher us into His presence. There we will enjoy eternal pleasures. Thank You Jesus! Oh how I long to join that song! After the elders and angels lead out, we will begin our eternal praise. Certainly we begin the moment we are redeemed, but how I look forward to singing with this choir! What do you think of that? Listen before you read this one. This version features Wintley Phipps. I hope you listened to that informative and inspiring rendition of Amazing Grace. If not, I want to encourage you to take a few minutes and do that. I will even try to tighten up my verbiage a bit for this one. I really want to pick up where we left off from the last Tuesday Tuning from 2.5.19 about calling and draw an interesting distinction between the unchanging nature of the calling of God and the implications of change it has on evening else. What I mean is simply this. Though even earth and sun made fade away, God’s call on us will not. In the face of the constancy of the call, we are confronted with our need to be transformed in order to truly answer. 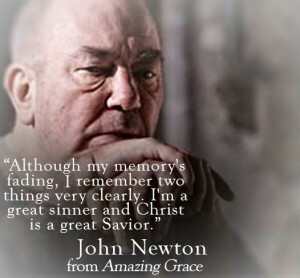 Our illustrative subject for today is our author, John Newton. He was an interesting character who, like Wilberforce, came to faith later in life. Unlike Wilberforce, Newton was a sordid individual who was considered extremely profane, which is remarkable especially because he was a sailor. After leaving the Royal Navy, he continued sailing and eventually became a captain on a slave ship. But that was not the most significant change in his life. He never forgot calling our for mercy in the midst of a perilous situation at sea, and eventually surrendered to the call of Christ, first becoming a Christian and then after some time an Anglican priest and abolitionist. The slave trader became an advocate for freedom, in more ways than one. That transformation helps to add weight to not only the quote above but also this one. I have often said the Christian life is a life of change. Newton nailed it with his litany of what he is not. The same could be said of the standing and experience of all who have responded to the call of Grace, and yielded themselves to His transforming power. Most of us are not naturally very fond of change, unless we are in charge of it, and the changes Christ requires of us are no exception to the general rule. The interesting dichotomy I see here is that it is the Unchanging God who issues an irrevocable call which initiates and demands transformation. Everything in creation will change, but not Him, or His call on us. So we take great confidence from this. God who called us to be His in this age, will ours throughout them all. He does not change, and neither does His grace. Think about it. If God could turn this slave trader into the man who would write these words sung by millions in praise of God’s grace each year, what does He have in store for you. Let the Holy Spirit reveal to you the truth that although many things around you may change-profession, finances, future-God’s grace for you will not. Let the peace that flows from this truth transform the way you think, what you say, and how you act. Then you will be able to say with Newton that although you are not yet what you want to be, you are not either what you used to be, all by His grace. Jesus, thank You for You unchanging call, and the way it is changing me. Cause me to long for it now so that realization will be even sweeter. Help me love You with all my mind as I wait! In Jesus name. Amen. Subscribers, enjoy this podcast! Everyone else, the transcript below. The earth and the works that are done…everything about this temporal existence will evaporate like a mist, melting away in the heat of that Day. Are you ready for it? Ask Him to help you be ready. The sun shall be turned to darkness and the moon to blood, before the day of the Lord comes, the great and magnificent day. It will be a great and magnificent day for all trusting in God’s grace, and a dreadful and terrible day for everyone who is not. Determine to put all your trust in His grace to carry you through to the end. And herein lies our confidence. We did not approach Him. He approached to us. He called us from darkness to light. May we always be quick to acknowledge the grace of His call as we offer our praise for his excellencies. This inner peace is such a stark yet tender contrast from the external chaos unfolding in the cosmos at the end of days. The intimate confidence is especially striking when set against the public turmoil. Thank Him for that confidence.